Does It Have to Get Worse to Get Better? An argument beloved by the extremes of the right-left spectrum proposes that the short-term success of the opposing side is ultimately good for their own; in other words, that the dystopia they intend (ultimately) to make impossible has first to occur before it can be permanently forbidden. In our case, this would be to say that the Islamisation of Europe has to quicken, the terror attacks multiply and the general abuse of our population intensify if we are to prevent a future in which such events cannot be opposed at all. I suppose as arguments go, this one has a whispering, seductive quality to it. To a youthful and excitable temperament especially, easily thrilled by the idea of civil unrest and bad news, it will seem an obviously fine idea, since it guarantees (in fact requires) action and blood, broken glass and the rumble of boots. But does it really hold water? Well, today, following a Ramadan sermon by the shaggy beatnik “Caliph” Al-Baghdadi, terrorists have attacked civilians in three different countries. 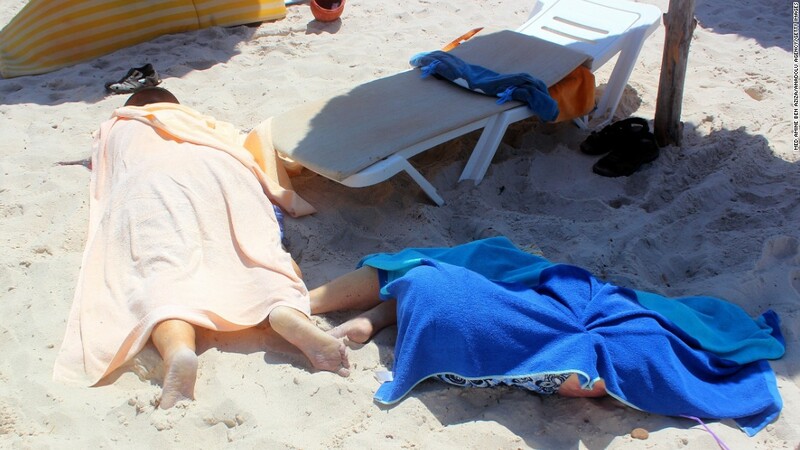 In Tunisia, Gunmen massacred at least 37 tourists relaxing at a beach resort. In France, some poor soul has been murdered, his head left – covered in Arabic script – on a spike. And in Kuwait, the perennially despised Shia have been blown up while praying in a Mosque. All of the attacks are thought to be the actions of the Islamic State. This triptych of evil certainly says something about the expansion of IS’s reach. And I think we can all agree that it qualifies as things ‘getting worse’. But have we been empowered by this day of carnage? Are we in a stronger position now than yesterday? I’m not so sure. Most of the people intelligent enough to understand the reality of Islam already understand it. Faced with the daily progress of Jihad, you would have to be blind, deaf, mute and stupid to resist the conclusion that Islam is violent. And once that main point is understood, further outrages become progressively less shocking. In the nation of Tunisia, I think some progress will be made in the coming weeks. Although the point is often exaggerated by eager multi-culturalists, the Tunisians really are a more liberal, relaxed, ‘European’ people than their neighbours. Images of the city afflicted by today’s massacre (Sousse) remind me of destinations in Sicily and Greece. Only the captions below reveal their African location. As one would expect, this reputation is jealously guarded by Tunisian liberals for whom an event like today’s must be infuriating. While they are in this mood, and should they stumble across this site, I would like say the following – The elimination of Islam from your country is the only failsafe cure for the misery that oppresses you. You have a beautiful Mediterranean homeland, one that many Westerners could be made jealous of. Be bold and change your allegiance while you still have a culture worthy of the name. As for us in the West, the ‘things have to get worse before they get better’ argument is contradicted (repeatedly) by reality. Van Gogh’s stabbing didn’t bring us any closer to a solution. Lee Rigby didn’t. Rotherham didn’t. Charlie Hebdo didn’t. Today’s events won’t either. The attention span of the average Westerner is diminishing with every fresh atrocity, just as one would logically expect it to. To rouse people into direct and decisive action will take initiative. It is no use waiting around for things to reach rock-bottom, and then like a phoenix, bounce back to a previous vitality. That is simply not realistic. If you have the gift of organisation, organise a protest. If you have the gift of eloquence, write letters, start a blog or compose a petition. And when it is asked of you to state your grievance and preferred solution, be open and unafraid about it. Tell them you wish to preserve the Britain of comedy, poetry and freedom, and resist a Britain of Salat, Sawm and Jihad. Keep the faith in victory too. When the future exerts its terrible pressures, our house shall stand. Theirs shall fall.